Try this game originally seen on Jimmy Fallon. A fun way to put a spin on the regular game of war. It makes a regular game of war look like a walk in the park. 4. Trash Bags – This is only if you are worried about parents getting mad if their child gets soaked during your programming. We don’t use these but you could if your really want to. Set up the deck of card on the table. Two chairs should be facing each other with the table in between. 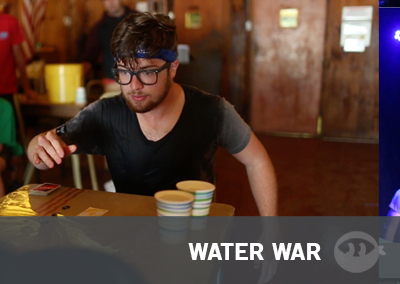 Line up the water cups on the side of the table so contestants have easy access to them. 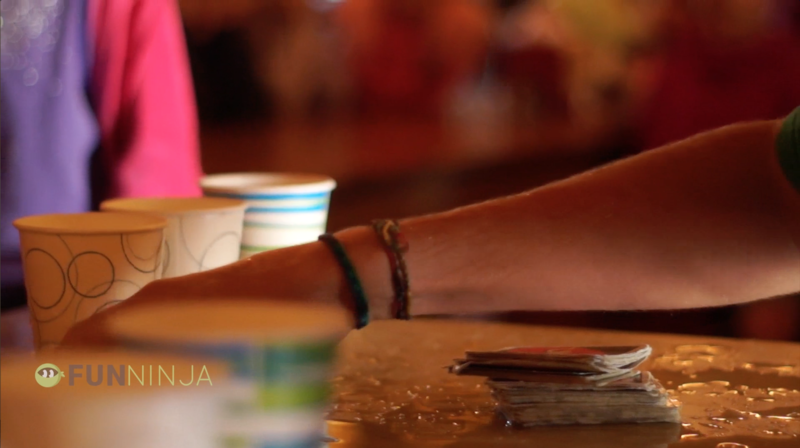 Each contestant sits on either side of a table with a cup of water in front of each other, as well as a deck of cards in the middle, they both draw a card. 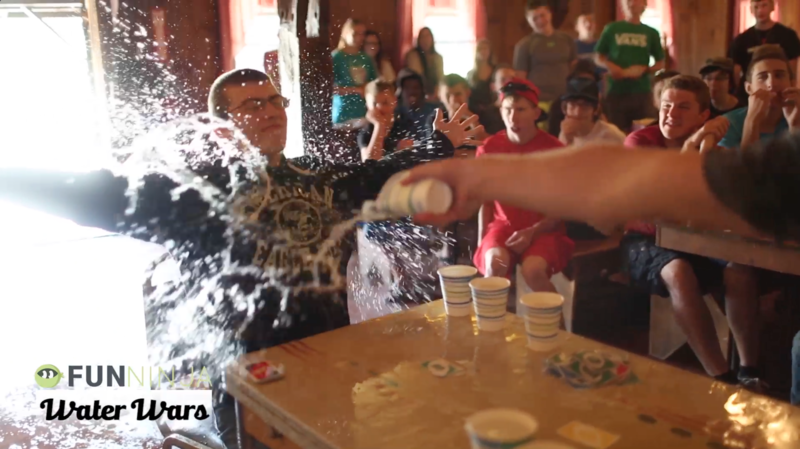 Whoever has the higher number splashes the other person in the face with their cup of water.